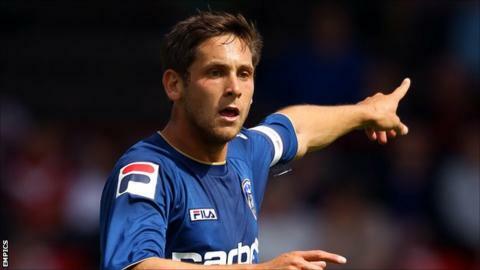 Oldham captain Dean Furman says he is very proud to receive his first international call-up for four years. The uncapped 24-year-old has been selected in the South Africa squad for friendlies with Brazil and Mozambique. He told BBC Radio Manchester: "It's a great honour. It's the country of my birth, I lived there until I was five and some of my family still live there. "It's a very proud moment for me. It's something I've always dreamed of and I hope I can do myself justice." Furman is one of several fresh faces in new coach Gordon Igesund's first squad, his only previous experience of the senior national team coming as an unused substitute against Australia in 2008. At club level, the former Chelsea and Rangers youngster was able to celebrate the Latics' first victory of the League One season at Portsmouth on Saturday. "It's a great feeling (to get three points) because it's something that we've gone without for the first three games of the season," said Furman. "Portsmouth is a difficult place to go and to take the lead and hold onto it the way we did, without them really having a great chance, shows how resilient we were on the day."